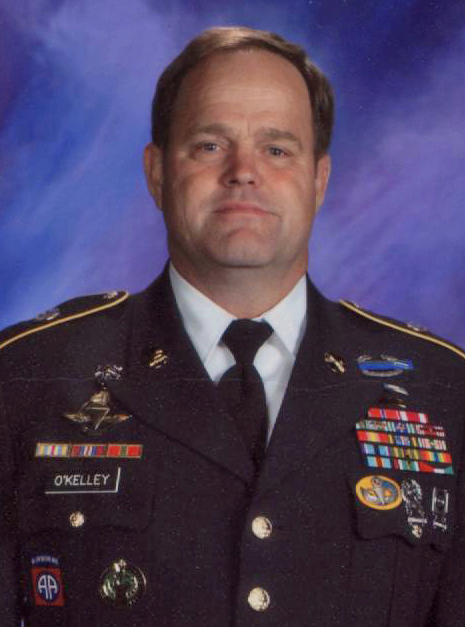 Patrick O’Kelley served 20 years in the military, retiring with the rank of Sergeant First Class. He was with the 82nd Airborne Division – the 3rd Ranger Battalion – F Company, 51st Long Range Surveillance Unit – 5th Special Forces Group and the 3rd Special Forces Group.A sniper in the 82nd Airborne, O’Kelley served during the invasion of Grenada in 1983 and with the 5th Special Forces Group during Desert Storm in 1991. Patrick has been reenacting the Revolutionary War since 1979 and has been in the same unit, the 2nd North Carolina Regiment, since that time. I can’t imagine a more qualified person to answer a few humble questions from a Revolutionary War enthusiast. Thanks to Mr. O’Kelley for taking the time to sit down with Twistification! What are some of the common troop types fielded by the Americans and British during the Revolution? I’m assuming you mean what types of units were in the war. The British army was not the “best army in the world” during the American Revolution, though many like to describe it as such. However the British army was extremely adaptive and would change tactics, weapons and uniforms to fit the war they were in. They remind me of the United States Army today. A typical British Regiment consisted of several Regular Infantry Companies, one Light Infantry Company and one Grenadier Company. In theory the Lights would move out in front of the main body and act as skirmishers, making the enemy deploy. The Grenadiers were the “heavies” and were used as the assault force or the anchor. The Regular companies would do the brunt work of the attack. However theory went out the window when they fought in America. British tactics were made for fighting in Europe, with wide open fields where artillery and cavalry could be used to their most effective. America was not Europe and consisted of one giant forest stretching from Canada to Florida. Not a lot of open fields and most battles happened on and around roads, since that was the only clear spot on the map. So when the British changed their tactics they basically made everyone Light Infantry. The formations spread out in “open order” (greater distances between men) and the uniforms were modified for fast movement, such as round hats or shorter jackets. The Light Infantry companies and the Grenadier companies banded together into Light Infantry and Grenadier brigades. The American army started out with nothing. No uniforms, no weapon factories, no navy, and not a lot of ammunition. In the beginning no two units had the same drill and trying to get soldiers from one region to cooperate with those from another region seemed an impossible task. Washington had to organize this ugly mob into some sort of a fighting force, all the while begging Congress to give him the basics and trying to appease dozens of officers who thought they should be in charge. And when these two forces faced off, how did it go? In the beginning the American army could not take on the British, so they relied on a defensive strategy. Bunker Hill worked tactically, so every battle seemed to be a version of that. When Washington was able to defeat the Hessians at Trenton, he relied on this tactic to beat the British. However the British are not the Hessians and when Washington tried to do a “Trenton” at Germantown, it cost him. At Bunker Hill the British learned a deadly lesson. If the Americans were entrenched, they would put up a vicious fight. The Americans could also shoot. This was because a large part of the American army on that field had rifles, a weapon that the British were not used to in a military battle. The rifle was a civilian weapon, but the American army was a civilian army. The British soon learned that if you could close with the Americans, fast, they could not take on the British soldier armed with a bayonet and usually would retreat or run away in panic. What saved the American army was von Steuben. He showed them how to fight like the Prussian army, using columns to move into battle instead of Indian file, and he was able to get all working together on the same drill. Add to that the influx of French arms and bayonets, and the “new” American army was finally able to take on the British at Monmouth using their own methods. The American army was honed to their most effective when the war came to the South. Greene used Morgan’s strategy of a “defense in depth” of not one line, but a series of lines that the British army had to break through. Each line made the British lose men, ammunition and strength. It would be like playing a football game with three offensive lines guarding the quarterback and not just one. Though Greene didn’t trust the militia, he was able to use them to their best potential as a skirmish line to slow down the British before engaging the main line of Continentals. How did infantry tactics evolve during the war? The British realized, before the war started, that they would not be able to fight in America with their European tactics. They went from three ranks (one kneeling) to two ranks, so that they could move faster. I already mentioned that the British would move fast during a battle to close with the American army and push them away with the bayonet. Many battles were over with in less than half an hour due to this. Some battles there were only one or two shots fired, and then it was over. The Americans went from an army that could not even deploy onto a battlefield in a short period of time, to one that was able to take on the British using the bayonet. The Americans went from an army that had a large amount of civilian rifles in their ranks, to one that primarily used muskets and bayonets. 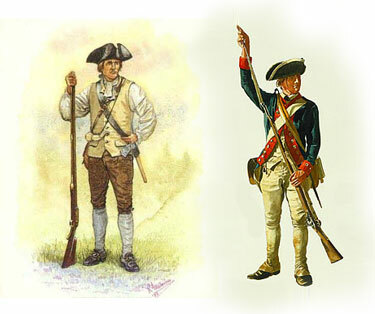 What are the differences between continental soldiers and militia? Continentals were the full time soldiers. They enlisted for two to three years and were usually issued uniforms. They were the “regular” army and bore the brunt of the fighting. 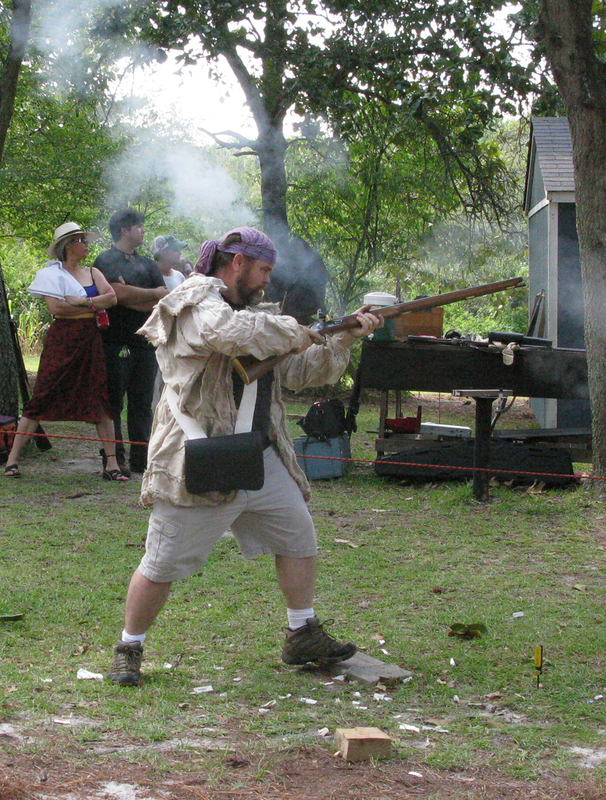 Militia were part time soldiers… they were the farmers, shopkeepers and such. You didn’t want to use them all the time because the country needed farmers and shopkeepers and such. They were used for short periods of time and their main job was not on the battlefield, but were used to police the countryside. They would guard depots, bridges, and do patrols to subdue or intimidate Loyalists. 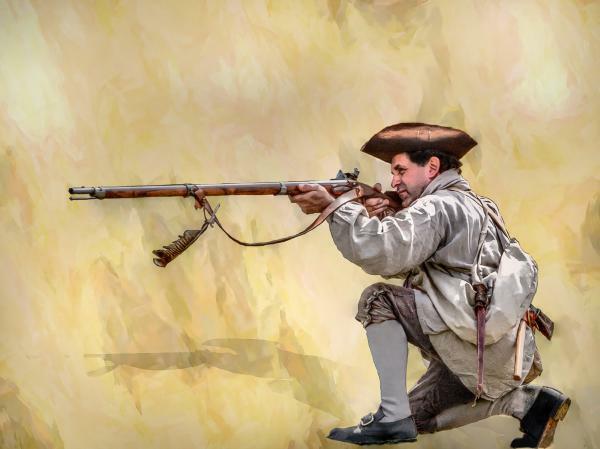 When South Carolina fell and was occupied by the British, the militia became the partisans… the guerillas… and hit the British in their supply lines. In the South, in battle, they were used to slow down the British army, so that the Continentals could finish off the British army. What is an infantryman’s worse fear? It doesn’t matter if it is a Legionnaire with Caesar, or a Ranger in Afghanistan, the worse fear is always the same. It is not dying, though that is huge concern. The biggest fear is to let down the men to your left and right or end up getting them killed for something you have done, or didn’t do. 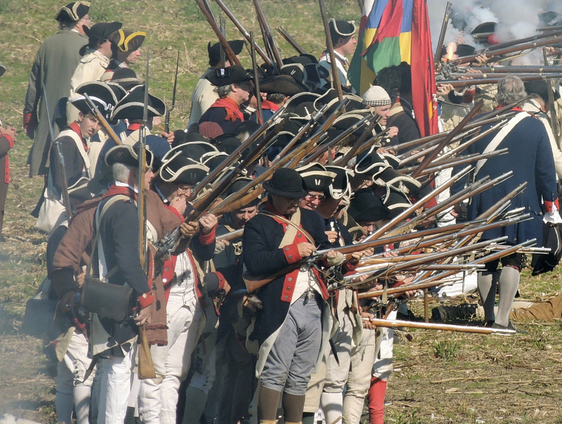 What were the most renowned British and American regiments fielded during the Revolutionary war? I could write several dozen pages on this question, since the war lasted eight years and covered the entire United States. There were hundreds of Regiments that were here, both from the Regular army and the militia or provincials. However let’s narrow it down to the most renowned Infantry regiments fighting in the South, since you have already covered the artillery and cavalry from other interviews. On the British side there were the Guards who were considered the elite of the British army. No Guards regiment deployed over here, but volunteers came over and formed the Brigade of Guards, consisting of all three Guards Regiments. There was also the 71st Highlander Regiment, and the 33rd Regiment. All were renowned and when the Americans faced them, they knew they were going to put up a fight. On the American side, in the South, there was Kirkwood’s Delaware’s. This was the survivors of the Delaware line that had been wiped out at Camden and was in every single major battle afterwards. Also on the American side you had the 1st Maryland, who learned how to fight in the first battles of the war, honed that skill with von Steuben at Valley Forge, then used all their knowledge in the battles in the South. The “Super Bowl” of the Revolutionary War was when the British Guards faced the 1st Maryland at Guilford Courthouse. Both sides were equally deadly and experienced, and neither side budged. It finally took massive losses to make both sides back away from each other and call it a day. In your opinion, what battles illustrated the most effective use of infantry movement and tactics? Cowpens. The three line “defense in depth” worked so well that Greene used it in every single battle he fought afterwards. Guilford Courthouse, Hobkirk’s Hill, and Eutaw Springs all use this three line tactic. Add in the effective use of artillery and cavalry and the British would not be able to counter this tactic. The only thing that saved the British army was the British soldier, who, by the end of the war, was a highly motivated, well trained and experienced combat veteran. Patrick is currently a Junior ROTC instructor in Sanford, North Carolina at Lee County High School. He is the author of the four volume series, “Nothing but Blood and Slaughter, the Revolutionary War in the Carolinas” and “Unwaried Patience and Fortitude, Francis Marion’s Orderly Book”.